Interview by Lena Carlson republished from Medium. Original publication date April 3, 2018. 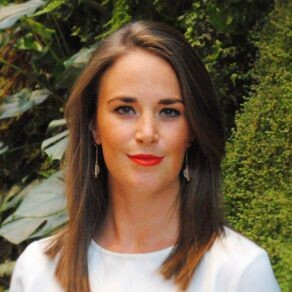 Jess Houlgrave is the cofounder and COO of Codex Protocol, a decentralized title registry for art and collectibles backed by an industry consortium. Ahead of their ICO, Jess is certainly keeping busy, speaking at crypto & blockchain conferences all over the world — from New York to Hong Kong to Berlin. [We include in this list our very own CryptoCreative – A Symposium on Blockchain’s Impact on Creativity and the Arts]. We managed to catch up ahead of the C3 Crypto Conference to talk about the collision of the Art & Blockchain industry. Lena Carlson: For those who don’t know, can you tell us a little bit about The Codex Protocol? Jess Houlgrave: The Codex Protocol is a decentralized title registry for the Arts & Collectibles asset class. A&C is a two trillion dollar asset class and comprises fine wine, classic cars, jewelry, fine art, watches, stamps, and other items where the primary value driver is provenance. By provenance, this means the authenticity of the item — who has owned it, which institutions have transacted it etc. Essentially, it is any history of the item that creates most of the value. LC: What issues do people currently face in the A&C Industry? JH: If you have two matching paintings — one which has a traceable ownership though collectors and museums and has been sold though a reputable auction houses; and the other, which just appears in someone’s garage — a huge discount is applied to the second item, even if they market knows that they are both by the same artist, because there’s so much more risk involved regarding its authenticity and where it’s been. This is the major issue that the Codex Protocol aims to address. LC: What impact does this have? JH: This makes it really difficult to do a whole host of things within the art ecosystem from lending, to insuring, to transactions and knowing what to pay for an item. And the reason there isn’t a title registry for Arts & Collectibles is that people are unwilling to trust a centralized third party. They don’t want people to know exactly what items they have. LC: So how does the Blockchain come into all of this? JH: What we can do is use blockchain technology to store all that information in a verifiable manner and still give collectors the privacy that they need in order to be able to work together. Codex is designed as an infrastructure for that asset class on top of which different applications can be built for different stakeholders. The value attributed to the title will be determined by how much people trust who’s created it. If you create a title and can add documentation to it, have an auction house appraise, or sell it through an action house, or have a store insure it, this kind of information adds up and this information can be passed on through the technology in a secure manger to the buyer or an insurer, for example. LC: So can you tell us a bit about your background — how did you end up getting involved in the Blockchain space? JH: I got my first degree in economics & management from Oxford. After that I joined Credit Suisse and was doing IPO deals for them. Then I joined a Canadian pension fund and managed their European private equity and infrastructure investments. I became interested and engaged with crypto in around 2015 and really started learning about it and did a deep dive into the technology to try to understand it. LC: Were you always interested in the art space too? JH: I’ve always had a long-standing interest and passion for art. Several friends of mine are gallerists or artists, so I’ve been involved in art for a long time in a non-professional capacity. LC: How does these two different worlds collide? JH: After seeing the problems with provenance and around data within the ecosystem, I could see that there was a really obvious use case for the technology with the art ecosystem. I wrote my Master’s thesis at Sotheby’s Institute of Art on the application of blockchain technology for the art ecosystem. I spoke with artists, auction houses, galleries, and insurers, to really try and understand what the technology would mean for their business. I also spoke a lot with several people who had other blockchain art projects — what their business models were and what they were doing right and also what the challenges they were facing were. LC: If you weren’t doing exactly what you are doing right now, what would you be doing? JH: I think it’s difficult to say. I really love art and technology, so I’m really lucky to have ended up doing something that I’m so passionate about. LC: What can people catch you speaking about at C3 Conference? JH: I’ll be talking about the future of art. For me that is about how technology could potentially impact the art market but also artistic production. It’s also about ways I think technology won’t change art. I’m really looking forward to sharing some thoughts and also hopefully hearing from other people who are interested in this space. Fuelled by coffee, Lena is a content creator & social media consultant based in Berlin & Brisbane. Catch Jess Houlgrave at CryptoCreative at 5pm on May 10th at DCTV, 87 Lafayette Street NYC 10013.